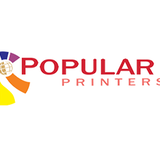 Popular Printers is located in Jaipur Rajasthan India. It came into existence in 1967 with the then widespread trade, technology. Popular printers is the leading digital printing press in Jaipur India. It offers urgent, Customized and digital offset printing services. It is the oldest and the most respected brand in the field of printing Jaipur. We provide Offset printers, Magazine Printing, Prospectus Printing, Calendar Printing, Book Publishing, and Pamphlet Printing.